The ability to anticipate and predict the impact of events in the future is important for airports and ATCOs. Most decisions are based on the intuition and experience of decision makers, with safety always being the first area of concern. With our Smart What-If, safety remains a priority, in addition, we bring performance and optimal results with a smart decision support tool. 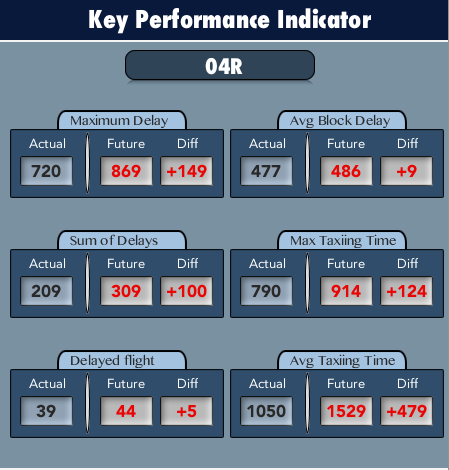 This operational supervision tool enables users to probe a variety of situations, such as towing, manual sequencing, runway closure, separation times etc., and analyse the impact on the actual and forecasted airport traffic, departures and arrivals, allowing users to minimize the impact of imbalances in demand or capacity. Using innovative algorithms availing flexibility, precision and high added-value functionalities, the what-if function shows the impact of any decision before its implementation. We don’t leave anything to chance! With ou Smart What-If, the user is informed and for every decision taken, the results and consequences are calculated and predicted. In the face of important operational changes, the user is supported by our powerful tool.